I’M NOT quite old enough to remember Wire’s first incarnation, their fabled 1976/80 period. They came to light a few years later for me, when I was about to turn 16 and – thanks to John Peel’s patronage – discovered Serious Drinking on the lead-up to their 1983 debut LP The Revolution Starts At Closing Time. Some other time I really must talk a bit about the Drinkers and their fellow bands on that quite-legendary Norwich Sound scene – long before we became aware of a certain Alan Partridge. But one of the many stand-outs for me on that album was a 1 minute 10 seconds cover that preceded cult single Bobby Moore Was Innocent. They amended the lyrics to name-check a little celeb-spotting involving the England ’66 legend, but their version of 12XU was also clearly a tribute to the band featuring that song on their first LP, Pink Flag. I knew a few more songs by the time the NME released its Pogo A Go Go compilation cassette in 1986 (the one with the fish on it), Dot Dash alongside other notables like the TV Personalities’ Part Time Punks. That was the same year as the NME’s much-mentioned C86 compilation tape, and there was a lot of shared ground between those indie newcomers and already-established bands like Wire. 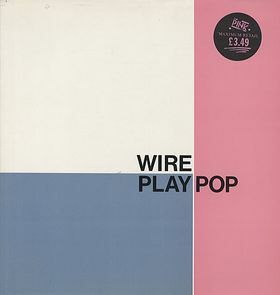 But there was an even more important release for me back then, a seven-track slice of vinyl called Wire Play Pop, released on the Pink Label (which I got to know about through my love of That Petrol Emotion and The June Brides) and collecting some of the finer moments thus far for this treasured London four-piece. I can’t pretend I followed their every move from there, having weened myself off my vinyl junkie status by the mid-90s, at which point I hadn’t bought anything by the band since 1989’s wondrous Eardrum Buzz. But I’m back on board now, and wondering just how I missed out on those years in between as I savour the more recent output and marvel at their latest long player. Words like experimental, influential, innovative and seminal are used a lot when the music press name-check Wire. That also suggests, perhaps rightly, sales have been lacking over the years, despite all that critical acclaim. But crucially, 37 years after their formation, Wire are still producing great songs and scratching a living from their art. Visitors to Preston’s New Continental saw and heard that for themselves last weekend, and I caught up with chief songwriter, lead guitarist and singer Colin Newman ahead of their sell-out show. Wire formed in London in October 1976, with Colin joined by Graham Lewis (bass, vocals), Bruce Gilbert (guitar), and Robert Gotobed (now Gray, drums). They were originally associated with the punk scene, not least through their appearance on The Roxy London WC2 album, and later deemed central to the development of post-punk. Wire are now seen as the definitive art punk or post-punk ensemble, steadily developing from the raucous punk style of 1977’s Pink Flag to a more complex, structured sound involving increased use of guitar effects and synthesizers on 1978’s Chairs Missing and 1979’s 154. 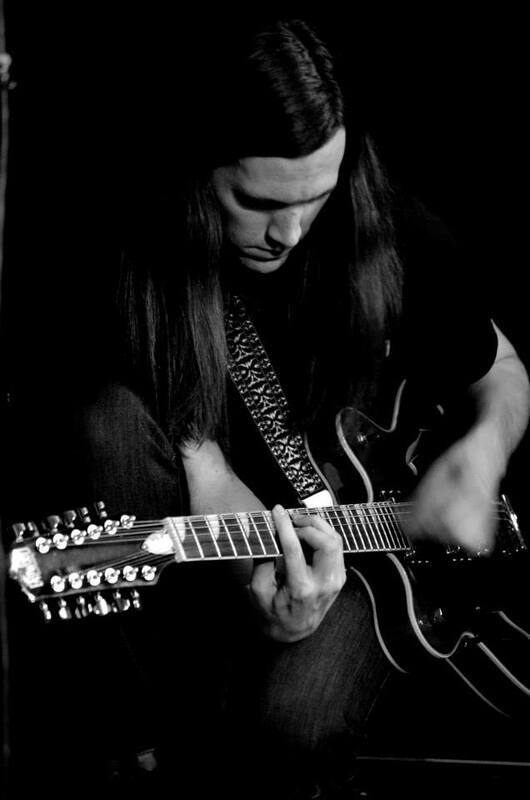 Along the way, they gained a reputation for experimenting, something that continues to this day, with Matthew Simms now established in Bruce Gilbert’s guitar role. Wire visited Preston a day before an appearance at Skipton’s Beacons Festival, with 11 dates to follow in England, Glasgow and Dublin in September before 12 mainland Europe dates then the second part of their US tour, this time on the West Coast. Colin said: “The first part was themed around the Pitchfork Festival in Chicago, playing to a big audience. They loved it. “We did rather better than we thought, in terms of audience numbers and the general effect of the tour. “Without blowing one’s trumpet, I think we’ve been on a roll over the last two or three years in terms of what we’ve released and the reception we’ve received playing live. It’s been a special 2013 for the legendary art combo, the March release of their 13th studio album Change Becomes Us leading to the latest ecstatic reviews for a much-loved underground band. They launched the new LP with a series of unique events, Drill: London – Wire, culminating in a headline show at London’s Heaven, playing Change Becomes Us in its entirety. Colin added: “The festival was quite an intense thing to put on and went incredibly well, performing the album for the first time live with a sell-out at Heaven. “It’s a very Wire like thing to do, but there’s a kind of irrefutable logic about what you should be doing, showcasing your new songs rather than a greatest hits show. “You either believe in what you’re doing or you don’t. “You need to be constantly reviewing what you do, and this year alone we’ve had two album launches which were very innovative. So were you pleased with the reaction to Change Becomes Us? “Absolutely. Mojo did a ‘how to buy Wire’ feature one month after the album came out, and while the first two places were fairly obvious, Red Barked Tree nearly pipped 154 for third place, and the new album came in sixth. “That puts incredible pressure on us, knowing we’ve done two classic albums in a row – if we come up with a third we’re in territory where not many bands of our vintage have been. “You’re not expected to be producing work as good as you did when you were younger. But we’ve no great respect of such conventions. 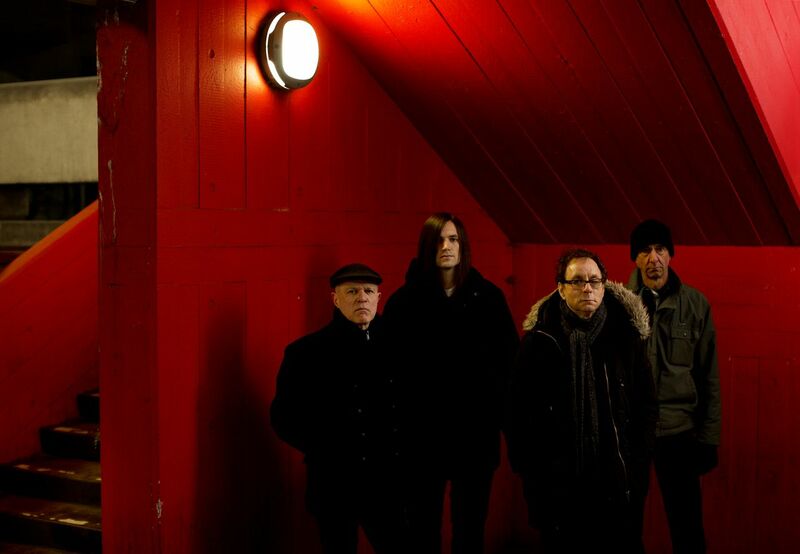 The new album has been dubbed Wire’s ‘missing fourth album’, as it involves previously unreleased recordings from the tail end of the band’s first phase. But Colin said that’s only part of the story. “That’s only half true. Not even that. The material itself, while having its roots in that period, underwent some pretty radical changes in the general process of working on it, as Wire do. “Some were fairly well worked out, some weren’t. We saw it as a project, ‘wouldn’t that be interesting to do’, because you’ve got this start and can take it more or less where you want. “But towards the end of the mixing, a few people who heard it said ‘you know this is really strong?’ and realised most who didn’t know the back story would think it was just the new Wire album. “That kind of made sense, so we decided that was the case and we shouldn’t really be making any bones about it. Colin said the project helped get him back into the mindset he was in as a songwriter at the turn of the ’80s, that challenge helping push him on towards the next Wire album. 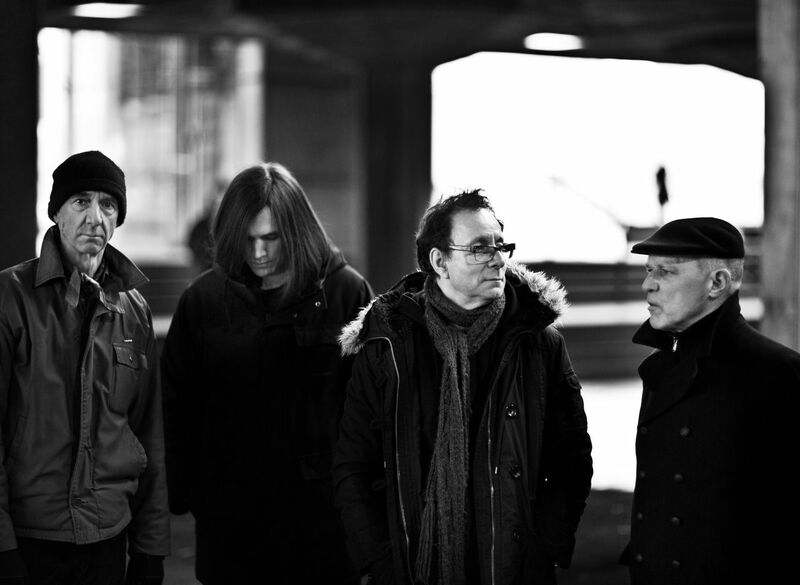 After their initial disbandment, Wire reformed in 1985, splitting again in 1992 and reforming for a second time in 2000, those sabbaticals serving to sharpen the group’s edge and focus. The resignation of founder member Bruce Gilbert in 2004 allowed the group a similar pause for thought and reconfiguration. 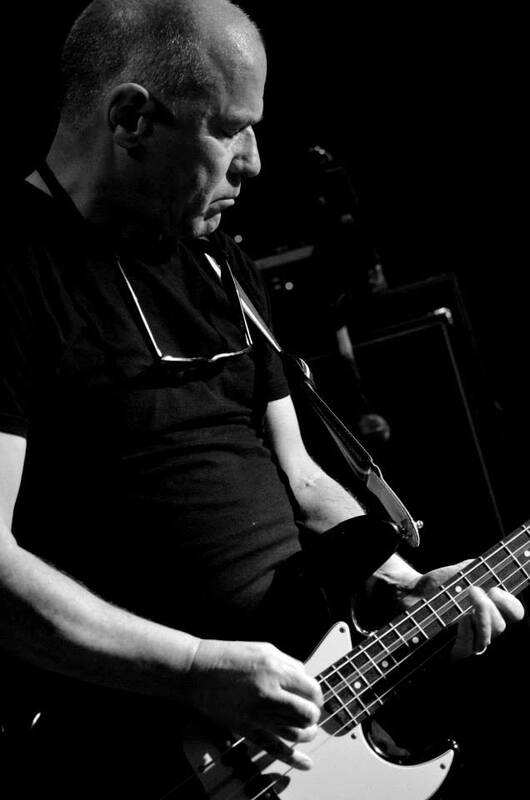 Yet Colin added: “Wire has never stopped working, and since 2008 the band have been moving forward all the time. 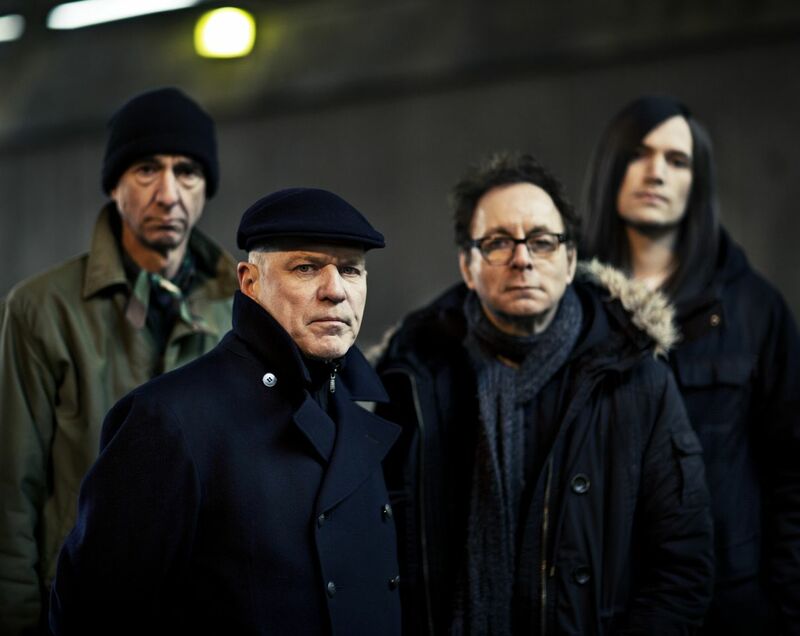 Wire formed in 1976, among the original punk and new wave scene. But they didn’t feel they were truly part of that. Colin said: “There was no such thing as post-punk then as a concept, and similarly we’ve never tagged ourselves as experimental. If anything, we’ve been flirting with the concept that we’re a psychedelic pop group. “There is something about the attitude of the late ’60s, when people thought anything was possible in music, and there’s still a strong element of that in Wire. I argue that XTC have taken a similar path, another outfit admired by other acclaimed bands. But they’ve seen more commercial success, whereas Wire have just had that influential tag. He added the example of his accountant’s spin on the band, saying: “She’s a young lady who’s a real music fan. She knew about Wire but never really knew the music. “She came to see us at a show and came backstage after, completely gushing, saying ‘you’re the band that stands behind every band that I’ve ever loved’. “Wire is that band. I don’t think we have the broadest possible appeal, we’re not aiming for that. But if you’re seriously into music and you’ve never actually heard Wire, I think it’s a band you’ll find something good in. Colin is now 58, but insists he’s still 25, telling me, ‘I wasn’t even born when the first Wire album came out’! He has some advice for the new breed coming through too, adding: “A young band who’ve just started might not choose self-releasing. “But it might still be a good idea if you’re able to create enough of a noise around you by playing some gigs or whatever way you can find to promote yourself. “You have to be clever. This isn’t the day and age when anyone can be passive. If you’re creative you can’t sit around and expect anyone else to do it. “And if you expect anyone else to do it, the price is going to be way too high. “Do you really want to do one album that you really don’t like, pushed in a direction you really don’t want to be in, then get dropped? “Is that what you want for that amazing feeling you had the first time you played and it was like ‘wow, this is the best thing since sliced bread’? Colin is not one to write on the road, instead waiting for co-writer Graham Lewis to give him a set of lyrics, then writing up to three songs a day. Those other projects include work with other bands at his South-West London studio and for his own label, as well as performances with Githead, formed with his wife, Malka Spigel, a critically-acclaimed artist in her own right. So what can those who show up at the forthcoming Wire gigs expect? “A band that’s pretty hot right now. We won’t have played for a couple of weeks, but we won’t be too rusty. This entry was posted in Music and tagged 12XU, Bruce Gilbert, Chairs Missing, Change Becomes Us, Colin Newman, Graham Lewis, New Continental, Pink Flag, Preston, Robert Gotobed, Robert Grey, Serious Drinking, Wire. Bookmark the permalink.